Not gonna lie here: I'm running out of both energy and inclination to defend the many "scandals", real and overblown, of this Administration. It seems like everyday there's something new in the news, and quite frankly, this sh*t is getting old. The most corrosive political scandals are the ones that feed a preexisting story line — which is why the White House could have difficulty putting the current ones behind it any time soon. In the view of President Obama’s adversaries, recent revelations add evidence to arguments that they have been making about the president all along: that he would do or say whatever it took to get reelected; that his is a philosophy of rampant, invasive big government; that he has not acted within the constraints of the Constitution; that he regards those who oppose him with contempt. 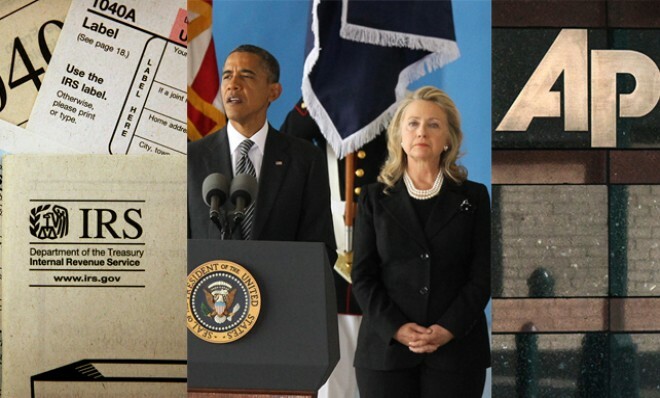 At issue are three ostensibly unrelated sets of events: the killing of the U.S. ambassador and three other Americans in Ben­ghazi, Libya, on Sept. 11; the improper and overly aggressive Internal Revenue Service scrutiny of groups opposed to Obama’s agenda; and the Justice Department’s seizure of phone records of Associated Press journalists. On Wednesday, the administration was fighting back on all three fronts. Taken together, and seen through the eyes of critics, the three controversies that confront the White House look like a tea party fever dream. While I still content Benghazi is a non-issue, and the IRS problem was swiftly and effectively dealt with, I'm not so certain about the AP/DoJ story. Real talk: I just don't even care anymore. Watching grown people fight each other for Congressional Seats while the country suffers due to their inactivity is tiring. The level of political polarization is ridiculous. Have at it in the comments section. I'm too tired to digest all this. Question: Are you getting Scandal Fatigue?!? No, this post isn't about the TV show of the same name that seemingly every black person other than me is addicted to. Sorry, I watched a few times, it just wasn't interesting.